This book tells the story of six American soldiers whose lives, and the lives of their families, have been irreversibly altered by the war in Iraq. Five of the men portrayed in this book have been officially diagnosed with post-traumatic stress disorder (PTSD). The war in Iraq officially began on March 19, 2003 and lasted eight and a half years, until December 2011. There were 2.16 million U.S. troops deployed in combat zones. Roughly 4,500 U.S. service members died while serving in Iraq and nearly 30 percent of all returning veterans have PTSD. 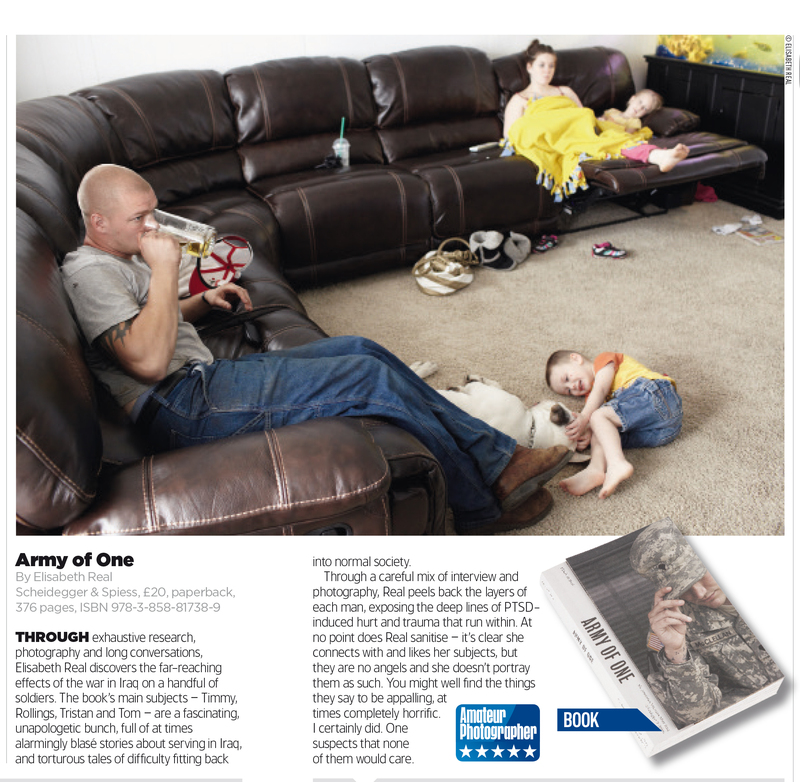 This project breaks down numbers and statistics and focuses on the single soldier: the lone-standing “Army of One.” What story does he want to tell? Many soldiers suffering from PTSD are left completely alone, trying to come to terms with a conflict in which the American public gradually lost interest. These veterans keep on fighting a war that they may never win. Personal project, 2006-2012, published by Scheidegger & Spiess. Read a book review here.